First up on the list? Just five HTC phones on the Sprint network - 4 EVO Design 4Gs and one EVO 3D are up for grabs, courtesy of our awesome friends over at RadioShack. Even in the event you do win one of these great phones we've got up for grabs, you might want to check out RadioShack this holiday season regardless - they've got a whole bunch of phones you can get free today on new 2-year agreements on AT&T, Sprint, and Verizon as part of their holiday free phone sale. 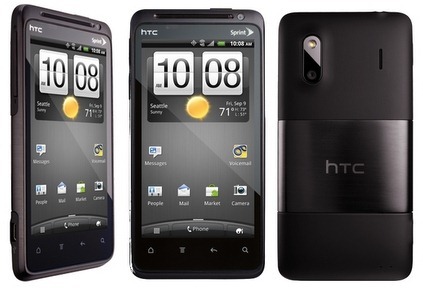 The Samsung Stratosphere, HTC Inspire 4G, and more. What's up for grabs? 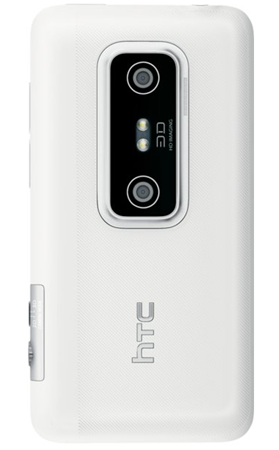 You stand to win either an HTC EVO Design 4G (one of four), or the grand prize, the critically-lauded EVO 3D. The EVO Design 4G is the latest in HTC's line of EVO smartphones, sporting a 4" LCD display and a 1.2GHz Qualcomm processor, running Android 2.3 Gingerbread on Sprint's 4G WiMAX network. The grand prize in this kickoff event, though, is the EVO 3D. The EVO 3D has a glasses-free 3D display, stereoscopic cameras for 3D photos and video, all powered by a beefy 1.2GHz dual-core processor to handle all the extreme tasks you can throw at it. Of course, it's also running on Sprint's 4G network to keep your extreme data thirst quenched. Oh, and did we mention it's the RadioShack-exclusive white version? Complete any of the following steps to be eligible, two to double your chances of winning, or all three to triple said odds. Follow @AndroidPolice and @RadioShack on Twitter, then tweet out a message that starts with the following phrase and ends with something spicy and original - it can be anything related to the EVO Design 4G / 3D, Android Police, RadioShack, etc. Just don't forget you only have 140 characters, so make them count. Like the Android Police and RadioShack fan pages on Facebook. There is no need to leave a comment to enter, so if you're already following both, proceed to step 2. The giveaway starts immediately and runs until 11:59PM PST, Saturday, December 17th, after which the winner will be chosen randomly and notified via Twitter, Facebook, Google+, or email. 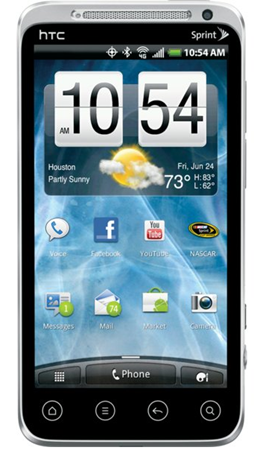 This contest is open to residents of the United States only, as these phones only work on the US Sprint network. One entry per person for each method is allowed; entering multiple times through the same method will not increase your chances of winning. The Contest begins December 14th, 2011 at 9:00AM Pacific Time and will continue until December 17th, 2011 at 11:59PM Pacific Time (the "Deadline"). All entries must be received before the Deadline to be eligible to win the Prize. Five (5) eligible entrants will be chosen by the Contest Provider at random as “Winners,” and will receive a “Prize,” either one (1) of four HTC EVO Design 4G smartphone devices, estimated retail value $399.99, or one (1) HTC EVO 3D smartphone device, estimated retail value $549.99. No substitutions or exchanges, cash or otherwise, will be allowed. Prize is not transferable. Contest provided by Android Police. Prizing provided by RadioShack. Any questions regarding the Contest should be directed via e-mail to Artem Russakovskii at [email protected].